We’re putting the question, is it a mobile home or a manufactured home, to rest once and for all. The terms ‘mobile home‘ and ‘manufactured home‘ have been the subject of great controversy. Because of that, we wanted to make sure everyone understood exactly what the terms mean and why the industry puts so much importance on them. A mobile home is a factory-built house built before July 1, 1976 before the HUD code became law. This law regulated many things about the homes: fire safety, insulation minimums, and construction regulations. Mobile homes built before this date did not meet these industry standards. A manufactured home is a factory-built house that was built after July 1, 1976 and meets all the proper HUD regulations set forth for that year. HUD regulations have been updated several times since 1976. Each new regulation has improved the homes to the point that many models are built better than a site-built home constructed the same year. The manufactured home will have 2″x6″ framing with high pitched roofs and high value insulation. The windows and doors and appliances meet Energy Star standards. A single wide manufactured home. Single section mobile homes and manufactured homes are built on steel chassis and transported whole to the property. Multi section homes, such as a double wides, are also built on steel chassis but they are connected together at the home site. A double wide will have two sections. A triple wide will have three. A double wide manufactured home. 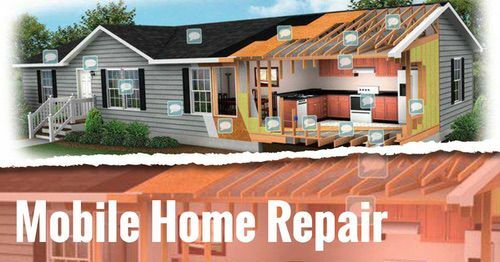 The term ‘manufactured home’ was brought to us by a very significant event in the housing industry, the Manufactured Home Construction and Safety Standards that took effect on June 15, 1976. HUD regulates these standards. Poor quality control, predatory lending practices, and customer service issues have plagued the factory-built housing industry since the late 1920’s. By the early 1970’s the industry had a reputation for building unsafe, unstable tin cans that fell apart quickly. Only a handful of builders were providing quality homes and customer service. They needed to do something to turn their reputation around and they did, kinda. Congress was working on a new bill that would put safety and quality measures on mobile homes. Many deaths were contributed to the mobile home’s poor construction and unsafe layouts (no second doors). The industry worked with Congress on this bill to fix the most glaring issues such as fire safety, minimal energy efficiancies, and . They also used the new bill as a foundation to shed their old reputation. June 15, 1976, plays a pivotal role in the factory-built housing world and how they went about fixing some of their issues. From that day forward, any structure built in a factory on a chassis and intended for full-time living had to meet minimum standards for energy efficiency, insulation, safety, and construction regulations that were defined by the Safety Act. 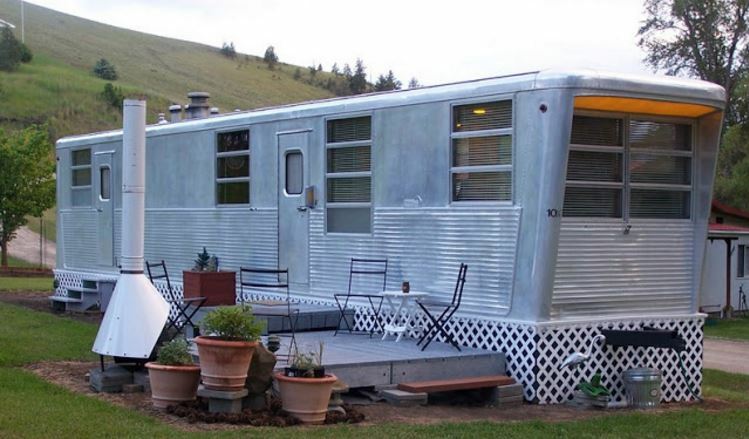 This is a fantastic remodeled vintage mobile home built in 1959. See the rest of it here. 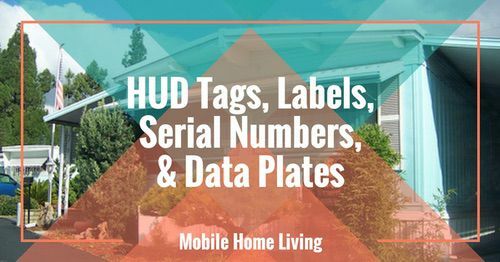 The industry took advantage of this new law and used it as a catalyst to change the name of the homes from mobile home to a manufactured home. They needed to shed the stigmas and stereotypes attached to mobile homes desperately. In their eyes, manufactured homes were a better product and thus deserved a better name. And so, the manufactured home was born, again. This is half of a double wide manufactured home built after June 15, 1976. Things were going fairly well after the new safety standards took hold but the industry was having a hard time convincing the public that these new homes were actually different from the homes offered just a couple of years before. 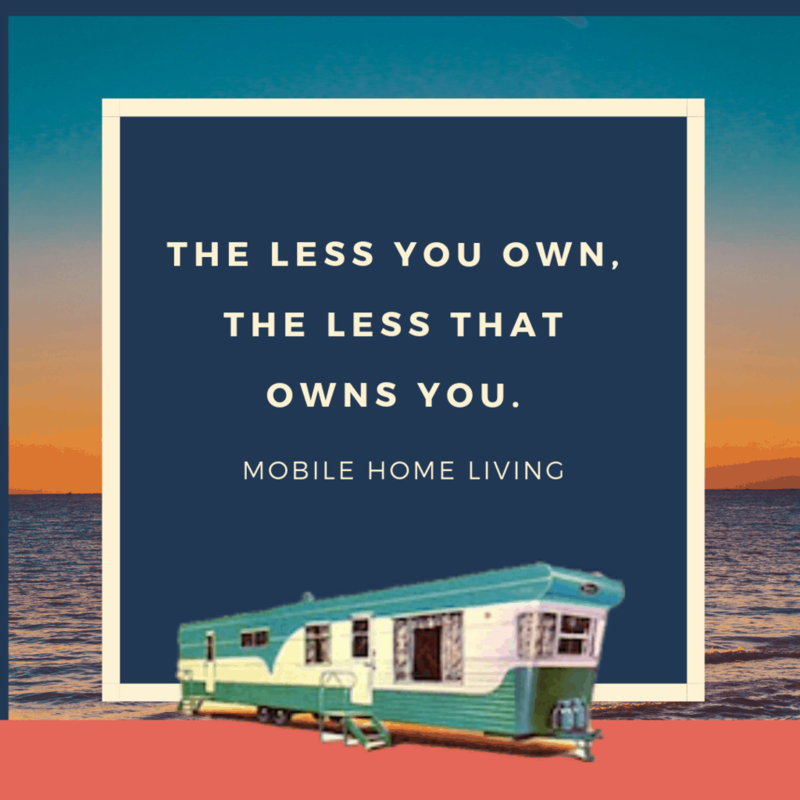 The term ‘mobile home’ was officially dead to the industry and the government regulating it but not to the people living in them or buying them. 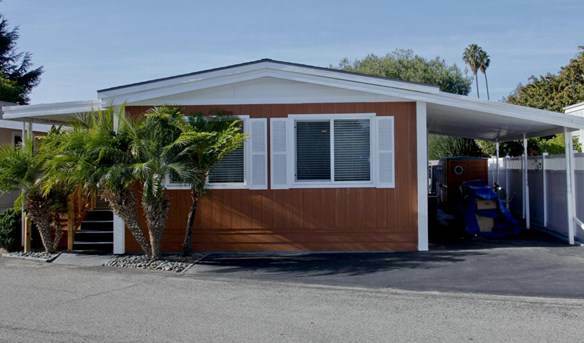 This is a manufactured home built after June 15, 1976, by Palm Harbour Homes. Unfortunately for them, the industry couldn’t sponsor a bill forcing consumers to stop using the term mobile home. The term mobile home is used as much today as it was 40 years ago and it drives the industry mad! 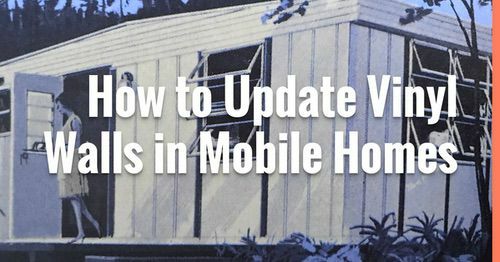 Admittedly, when I started this blog in 2011, I had no idea there was a difference between mobile homes and manufactured homes. I’m from WV and had only heard the words mobile home or trailer. The term ‘manufactured home’ was fancy sounding and I assure you I ain’t fancy. Once Mobile Home Living began getting popular, the industry made sure to educate me on the matter. You can read about that in our article, NO, I will not stop using the term mobile home. Get over it! This 1959 Spartan Imperial Mansion is a mobile home because it was built before June 15, 1976. So is it a Mobile Home or Manufactured Home? To put it simply, your home is either a mobile home or a manufactured home. It cannot be both. A mobile home was built in a factory before June 15, 1976. A manufactured home was built after June 15, 1976, when the Manufactured Home Construction and Safety Standards Act went into effect. Nowadays, whenever you hear the term ‘mobile home’ used the speaker is probably talking about a manufactured home. Less than 10% of all factory built housing still in use today was built before June 15, 1976. 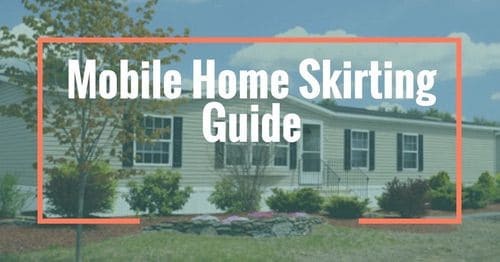 While a mobile home is different from a manufactured home, the two terms are used interchangeably here on Mobile Home Living. I apologize for that but as a blogger, I’m supposed to write articles on topics that are most searched for on Google Search. That’s the whole point of a blog or website: to answer questions and to give people content they want to see. 90% of the time readers are searching Google for ‘mobile home skirting’ when they really mean ‘manufactured home skirting.’ See my issue? When it gets right down to it, though, it’s just a home. Whether mobile or manufactured, the word home always follows so that is what I’d like to stress most. Yes, there is a difference between mobile and manufactured but they are both homes. Whether your home is 30 years old or 3, it’s a home and that’s all that matters. I have just started receiving your articles and am impressed. The article I found very interesting is the difference between a mobile home and a manufactured home. I sell manufactured homes and try to educate my customers on the difference. I love what I do. I have been doing this for 20 years and am a female which today is a little more common – when I got into it – it was mostly men and also “used car sales mentality” I pride myself on what I sell – I also live in a triplewide which I love. I represent one of the oldest still building products and am proud to do so. When one of my customers homes is ready for delivery – I go to that delivery – I have a wonderful team of drivers, pilots and when needed a little unit called a remote tote which will take the house off the truck and onto the property where maybe the trucks cannot get. I make a little party at the arrival with a bouquet of balloons and cupcakes to welcome the home. There is nothing more rewarding for me than to see thatbeautiful home come down the road and the new owners become childlike when they first get a glimpse of their new home. I hear ” Here it comes and the biggest smiles come over their face” afterall anyone building a house doesn t get this most wonderful day – where a beautiful home arrives on a truck and is just a matter of a few weeks and they can move in. 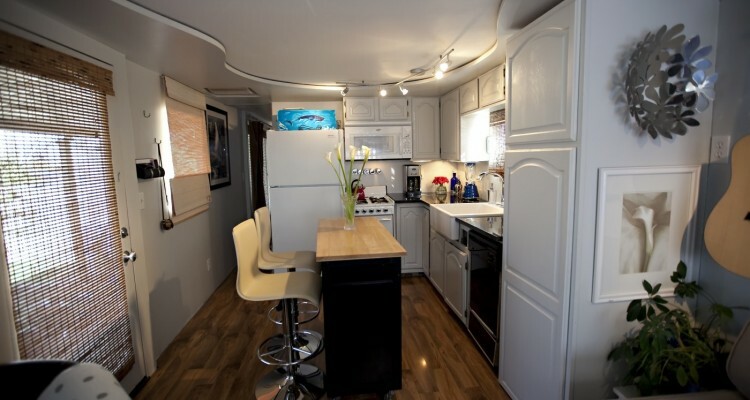 As an owner of a manufactured home and a seller – I can truly say these homes have come a very long way – if you haven t been in a new manufactured home – stop by and you will be amazed. We would love to interview you and get some insight about the industry. Could you please email me at [email protected]. Thanks! The most frustrating part of the process was dealing with the bank. We learned that banks in our area do not have a good understanding of the difference between the two. Most still have their mindset stuck in the 70’s. The bank which we went with is in the process of reviewing their policy for financing manufactured homes. In the meantime though, they limit the amount of financing they are willing to give to purchasers of manufactured homes. I’m sending this article link to the mortgage rep which we work with. 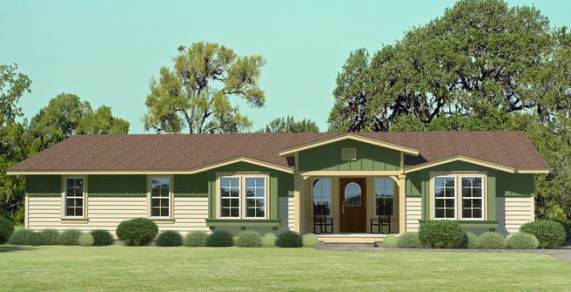 There are a lot of regulations on financing manufactured homes! I kinda have a love/hate opinion on all that – the rules were put into place because the industry (dealer financing and private lending institutions mostly) were doing a lot of shady things and ripping a lot of people off. I’m hoping there can be a happy medium found that protects the buyers well but allows for more competition in lending. Fingers crossed! This was a very interesting article. My parents bought their double-wide “mobile home” in 1975. The sales person emphasized that it was built to housing specifications and therefore would appreciate like a house. 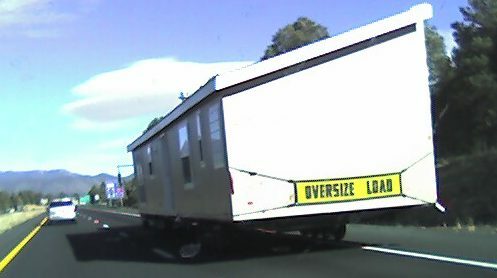 [It did not, since everyone continued to view it as a mobile home.] So this must have been the transition point for laws/definitions of mobile vs. manufactured. I own this property now (located in sub-tropical NC), and have been slowly renovating for the last 6 years beginning with the crawl space underneath, which had turned into a tropical rain forest and petri dish. I’m uploading some Tumblr photos to document my progress and hope to share them with you in the not too distant future. The property had served as a second home (beach vacation) but in June will be our landing pad after fleeing the San Francisco Bay Area because of the high rents. Our last place jumped from 4k per month to 8k. Eeek! Compared to 500.00 per month for the (paid for) double wide sitting on it’s own land in Coastal NC. Welcome (back) home to the right coast! 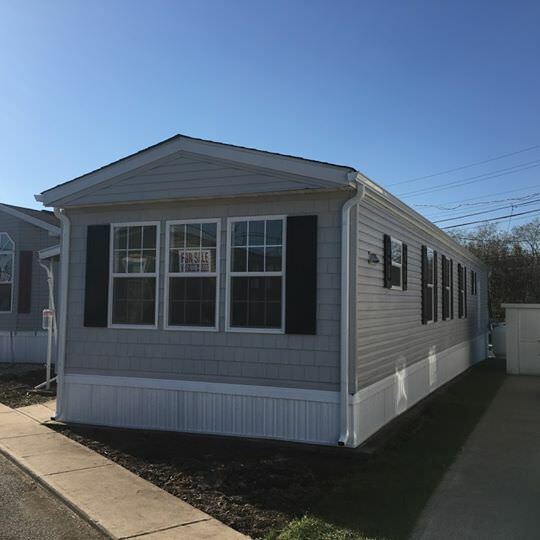 The appreciation/depreciation issue is complex – manufactured homes can and do appreciate at about the same rate as a site-built home if they are permanently installed on the land (the land is the catalyst for the home to increase in value). I’ve been seeing some crazy home prices in California! I just featured a double wide that was on the market for around $200k (it was gorgeous!). Let me know when you get your Tumblr setup! This article gave me a chuckle. When I was buying my home, built in 2006, I mentioned something about it being a mobile home. The seller got all haired up and told me it was a “manufactured home” LOL, I just call it a doublewide. 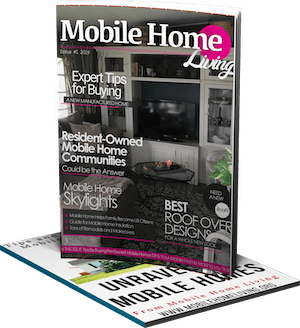 I’ve been receiving your newsletters on a frequent basis and enjoy reading about all the different types of “mobile” & “manufactured” homes that are showcased in your newsletters! I’m also an owner of one of these “manufactured” homes – since 2006 – and I’ve also been confused about the terminology of these dwellings too! I have found a “tag” on my home that has a date of 1977, so I’m guessing that this is the date that it was made or manufactured. Too bad the company [Prestige] that made this home I purchased back in 2006, probably didn’t get the “memo” about the insulation issues from HUD! I don’t believe there is any insulation at all behind the walls of my place! All I can tell you is that in the winter, it gets very cold inside with about a 10-degree difference than outside [hence the higher gas usage] and in the summer time, it gets hotter inside also with a 10-degree difference! Luckily for me, I have a swamp cooler [on the roof] that doesn’t cost a lot of electricity to run. You mentioned that we could send you photos of the homes we live in and the “remodeled” rooms that have been completed – can you tell me again how to submit photos to you. I’d like to share some of my rooms that have been redone. I’m also in the process of “rehabbing” my back bathroom and would like to share some “before & after” photos of this room, once it’s completed. It’s been a slow progress with this room, because I had made making great strides with this room & then broke my left wrist in Aug. 2016. Since then, this room “rehab” has been on the back burner. 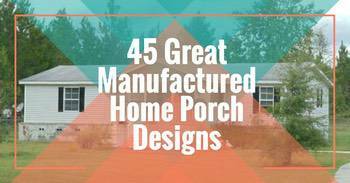 After reading your article titled — “Is it a Mobile or Manufactured Home” – at least now I know what I actually live in — a “manufactured” home!! 🙂 Thanks for taking the time to read my story. The insulation regulations from the 70’s are laughable compared to today’s standards. Energy consumption and efficiency just weren’t an issue back then. You can add new insulation in the walls but it’s a big upfront expense though the savings over time will be worth it. My email is [email protected]. I’m always looking for great homes and rooms to feature. I look forward to getting your email! please contact me privately, as I would like to use your article in our community newsletter. I will provide your name as the writer and the url where one can find the article. We are a small community of 350 home sites. We have gone through several editors for our newsletter. I believe it has to do with content. I would like to use your article to “upgrade” the language of the community as we are still called a mobile home park. I believe we are a manufactured home community. Of course, my home was built in 2004. I am a volunteer trying to make our newsletter worthy of reading. Thank you for you consideration. You are more than welcome to use any content you want. All I ask is that you tell your readers about us (and if one of my other writers wrote an article you want to use please reference them, if possible).